Join us Saturday, June 16th at 8:30am at Riverside Blvd. 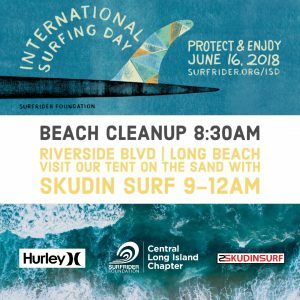 by the Skudin Surf tent to help cleanup the beach for International Surfing Day! Skudin Surf will be offering free surf lessons every half hour from 1:30-4:00pm for all ages and abilities!